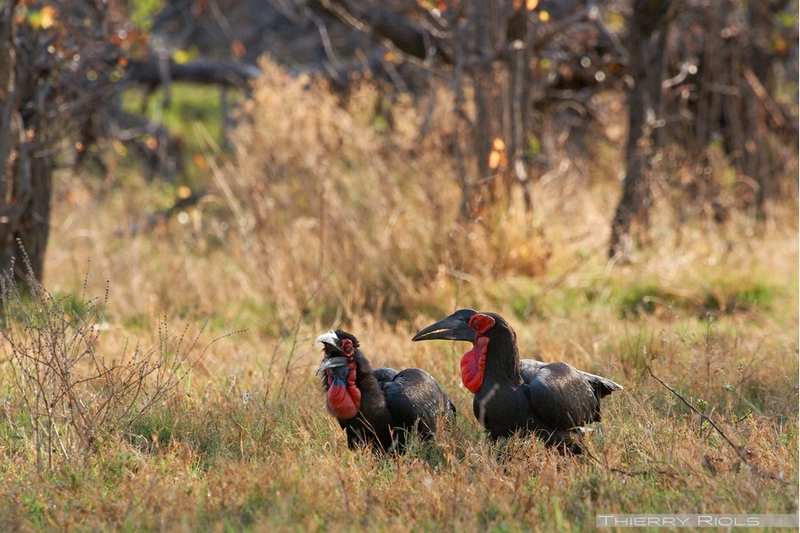 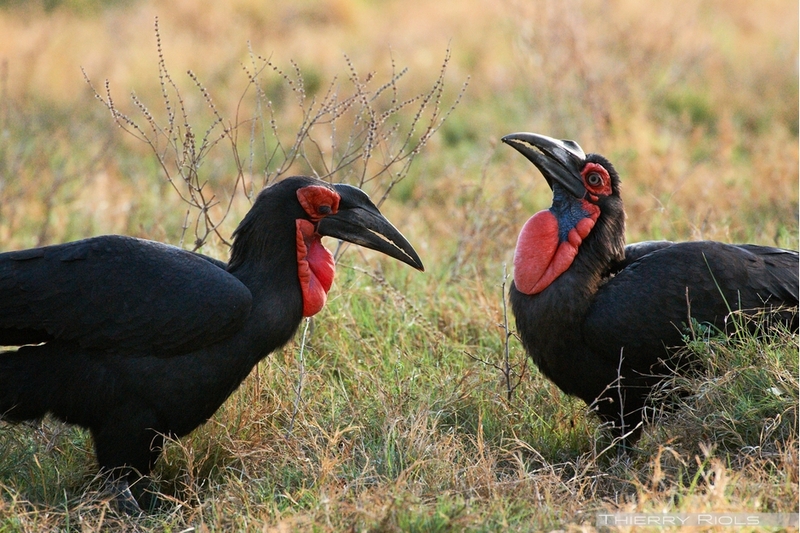 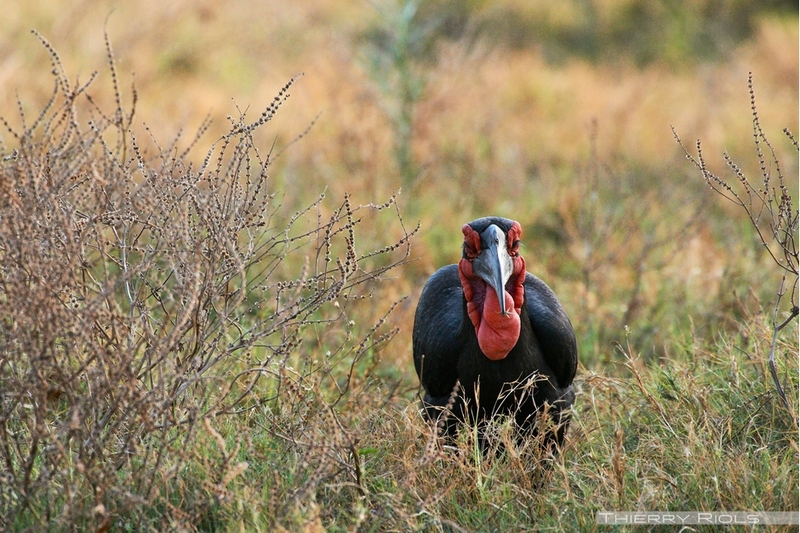 The Southern Ground Hornbill - Bucorvus leadbeateri - live in groups of maxi ten individuals. 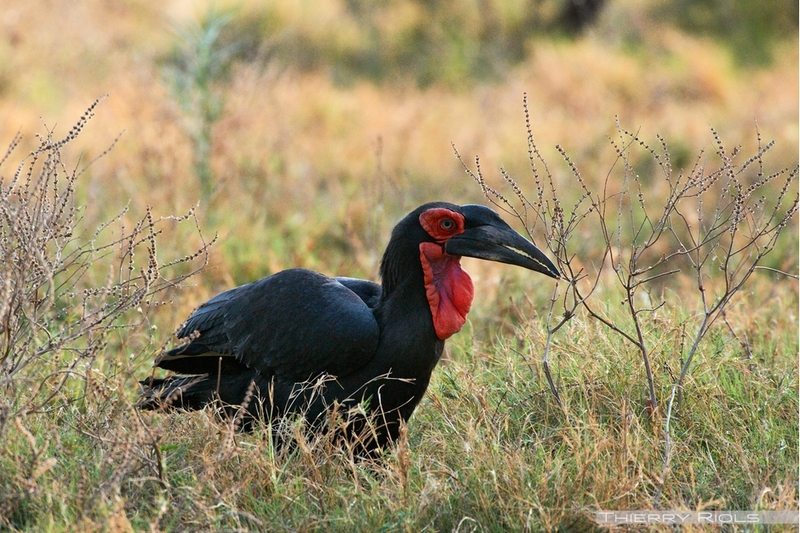 Measuring up to 130 cm, it feeds on insects, snakes, frogs and small mammals. 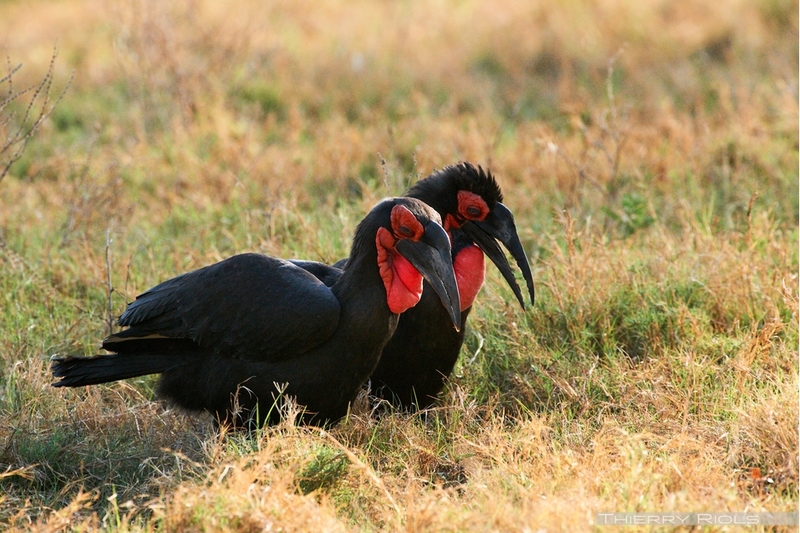 It is found mainly in the reserves and parks, where it is protected from poaching. 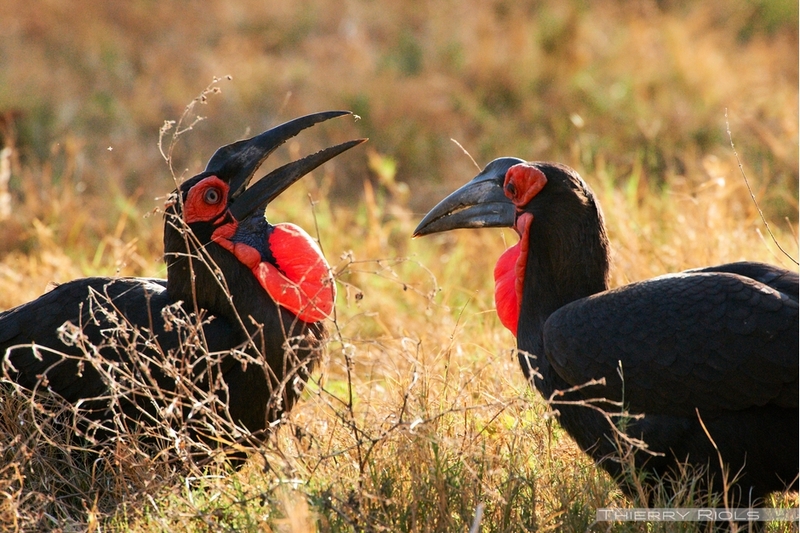 The species is classified as vulnerable.